When asked what transformational document was created in 1776 that produced the world’s only superpower of today, many Americans would answer, The Declaration of Independence. And they would be correct in the year this historic document was signed. But these same citizens of the world’s largest economy would actually be wrong in their answer. The key to our country’s ascension also created in 1776, but ironically inked in London, was Adam Smith’s book An Inquiry into the Nature and Causes of the Wealth of Nations. Some 240 years later, we Americans conflate independence and wealth. Driven by fear, business owners, proud Americans, and their political representatives now preach the need for more reliance on domestic labor, less trade with other countries, and altogether more economic isolationism. It is a myopic approach that makes promises of a brighter future driven by strategies of self-reliance, hoarding, and acquisition. To that, this type of economic theory is directly opposed to Smith’s theories and direly threatens businesses and our country’s economy. Though it put forth many significant points of economic theory, the true importance of Smith’s publication was its ability to overcome the innate fear that drives isolationist theory. The Wealth of Nations was more than simply an economics text, it was mindfulness at its best. We oftentimes think of behavioral finance as something fairly new, but Smith applied mindfulness to finance in 1776 by utilizing the ability to look within one’s self to see beyond traditional, fear-driven views. It was this system of economics based on mindfulness, not fear, which made The Wealth of Nations so special. To put it more definitively, while it instinctually may seem that the way to get and stay wealthy is to hoard and keep others down, Smith proposed a counter approach that became the basis for economic growth of historic proportions: it is economically better to be great at one thing than good at many and therein the advancement of any one country benefits that of all countries. Smith understood that a nation with tremendous competence for innovation but lacking in its capacity for labor was better off trading one for the other — we will supply you with innovation while you supply us with labor. Or that a nation with extreme skill at fabricating microchips but lacking in natural resources was better off trading one for the other — we will supply you with computer processors while you supply us with bananas and oil. It is actually not such a difficult concept to grasp, unless fear gets in the way. Today, in this country, we are scared and confused. And — just as we prefer in our personal lives — we like to blame our business and economic fears on others. It feels better to fault others than look within ourselves. In this country, though we accuse everyone and everything from NATFA to China, what we are truly afraid of is the prospect of our having little economic relevance to the rest of the world, which ironically and counterproductively manifests as isolationism. It is obvious that the aptitude of a business or country (or even an individual) will shift over time as resources and capabilities change. But nowhere in such change is there a need for isolationism — this is not the way back to greatness. Rather, there is a need to re-evaluate one’s skillset and resources, consistently self-reflecting and reassessing where we can be best-in-class while reminding ourselves that we cannot be great at everything (nor should we want to be). It is foolish for one country or company to do too much, to try to be great at many things. Smith’s mindfulness reminds us to admit weakness, to welcome others to be great in ways we cannot, and together we will all prosper. To make this country (or any company) great actually means intentionally making it worse at most things while focusing on developing unique skills and products that are of value to the rest of the world. In economics, according to Smith, less is more: each country excels only in certain specialized areas, we rely on and benefit one another, and everyone wins. Capitalism is not the idea that hard work makes winners or that any one country is preordained to greatness. On the contrary, capitalism according to Smith is the mindful idea that money is unbiased and therefore does not care about patriotism, and that “Buy American,” hoarding, and isolationism lead to ruin. In due course, success will be only for those that understand the interdependence of the world. 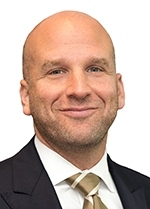 Jonathan Citrin is a financial adviser, media commentator, and international speaker and author on mindfulness and finance.